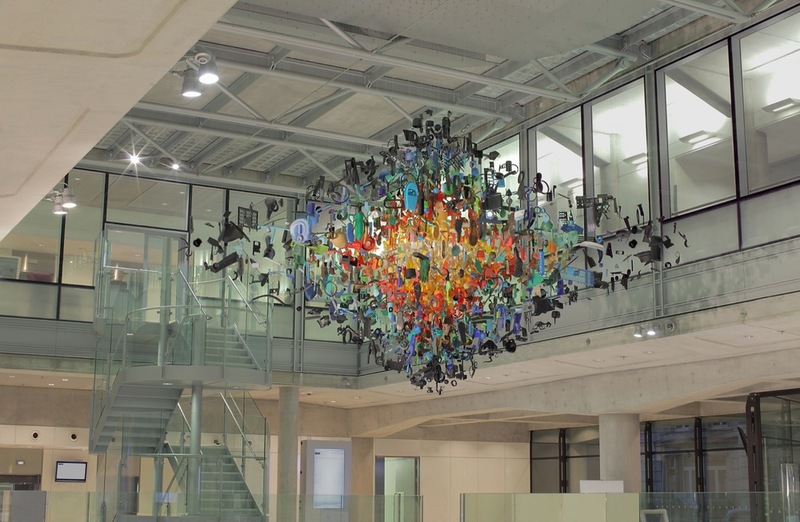 Strand is an artwork commissioned by University College London Hospitals for permanent display at the new UCH Macmillan Cancer Centre, Huntley Street, London WC1E 6AG. At some point in time Cancer will affect most of us either directly or indirectly through people we know. It has become one of our biggest fears. Dealing with the disease is both a mental and physical journey and throws the diagnosed into the unknown. Therefore, the starting point of the sculpture was a personal physical and mental journey. 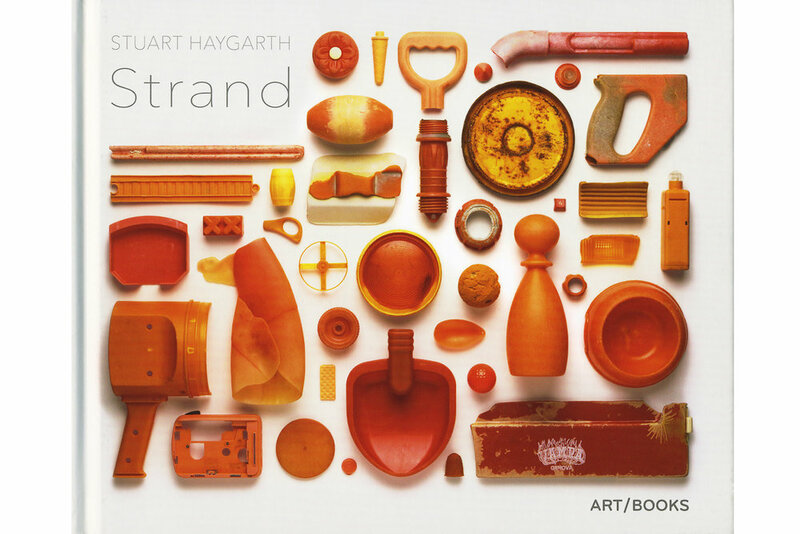 My practice generally revolves around collections of found objects, which tell a story. For the commission I walked along the coast from where the River Thames meets the North Sea at Graves End to the furthest point on the south coast, which is Lands End. Along this 450 mile coastal walk I collected man made objects, which had been washed ashore by the sea. 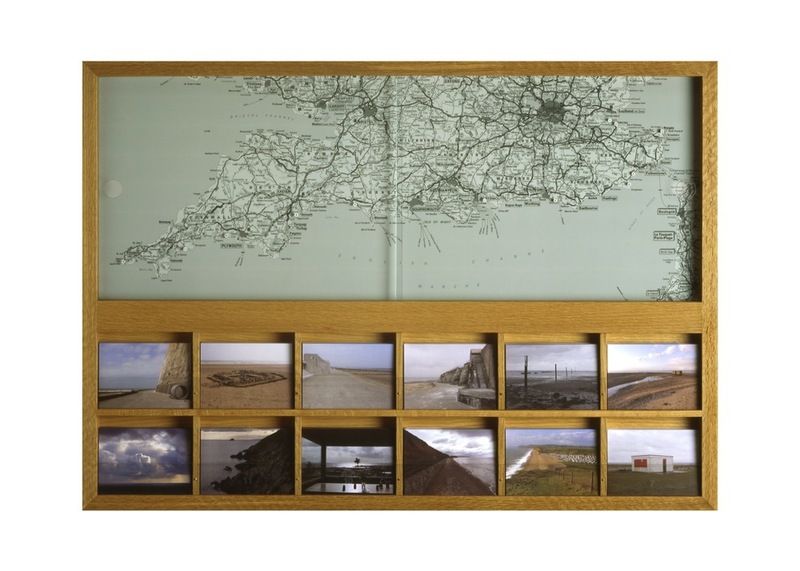 I chose the coastline because historically the sea was viewed as the ‘unknown’. 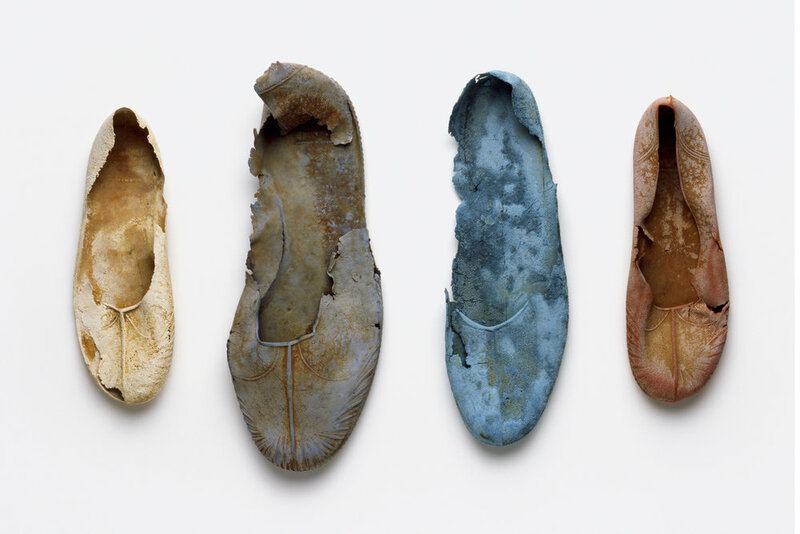 The objects collected formed an archive, fragments from people’s lives. The walk itself formed an intrinsic element of this project both in its physicality and as a metaphor. Embarking on a continuous solitary walk to source a collection from which to make a piece of work signified a new methodology for me, and the challenges developed my practice as a whole. The journey was a transformative process, the physical distance and the experiences along route became a subtle subtext to the finished piece. 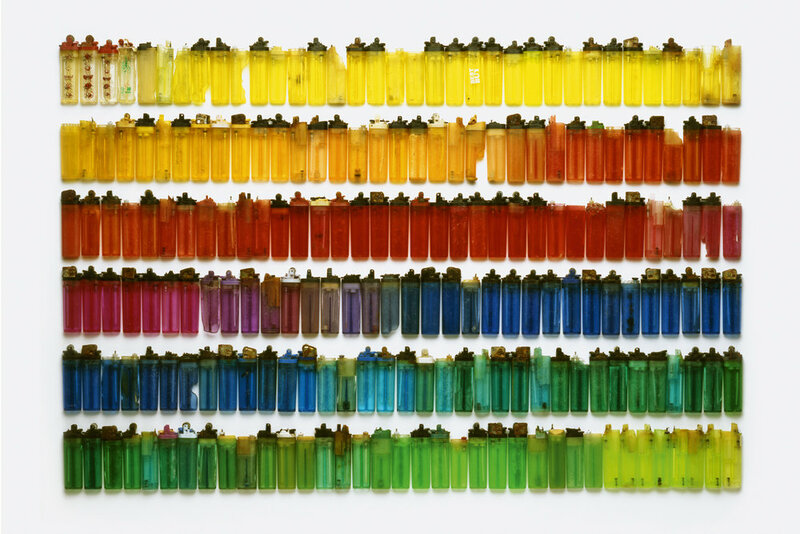 The objects were eventually categorized by colour, ranging through the spectrum from white to black. I would imagine being diagnosed with cancer creates an explosion of emotions and might engender many mental and emotional reactions including confusion, a sense of chaos, yet also strength and determination. 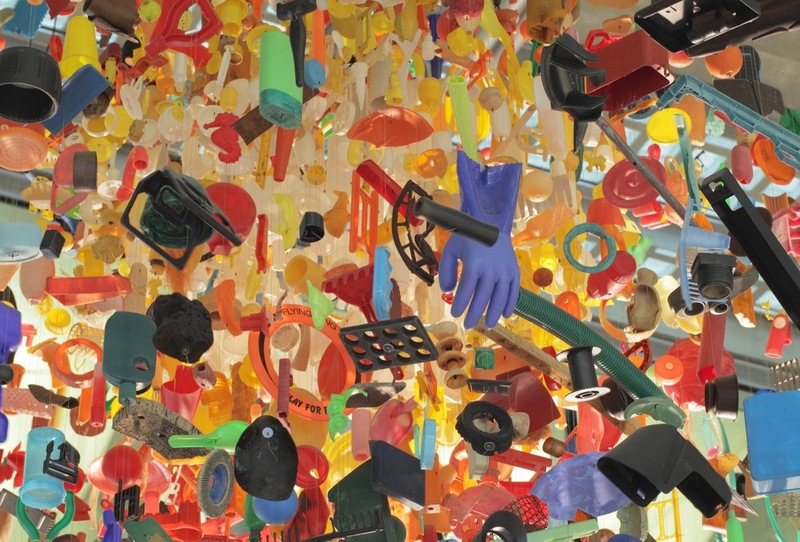 From the collected objects I created a visual explosion of colour and form, yet one that through the precise arrangement and installation of the objects also radiates calm and control. The objects at the core of the sculpture are white and gradually the objects turn to yellow, orange and red until the outer pieces are black. The mass of objects are suspended from a platform on a series of fine metal cables giving the impression that the explosion is frozen in time. The beautiful shock of ordered colour works in harmony with the neutral clean colours of the hospital interior. 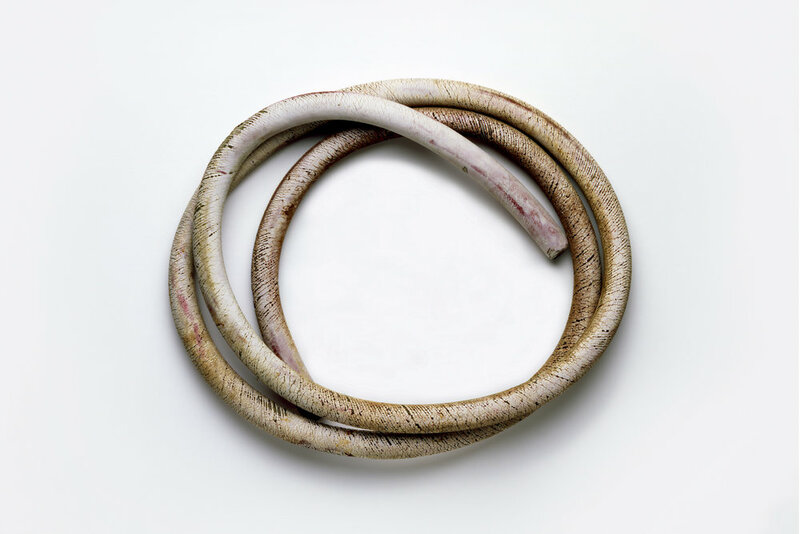 Material – Found man-made beach objects, micro cable & plywood.